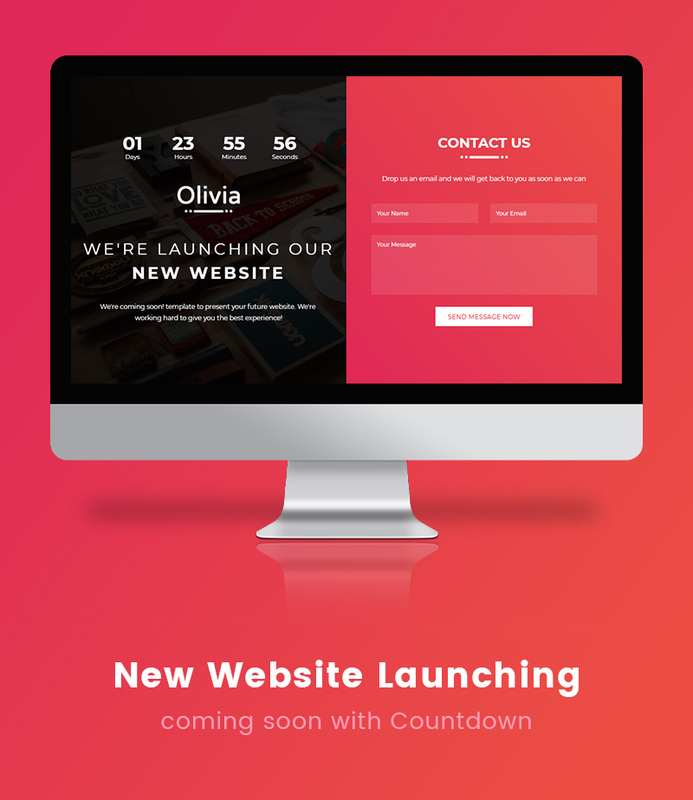 Olivia is a responsive multipurpose coming soon website template. Olivia is perfect for every projects looking to craft coming soon websites and pages for temporary. Olivia includes powerful Time counter with contact form. Contact form is ideal feature to get visitor information and you can easily convert your visitor into customer. Olivia saves time, effort and money. 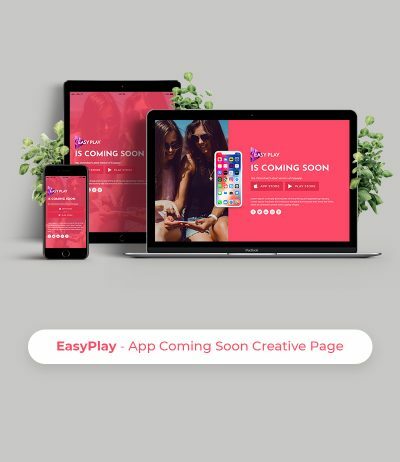 Keep your audience engaged with your brand and project while you’re developing your website or your website is under maintenance. 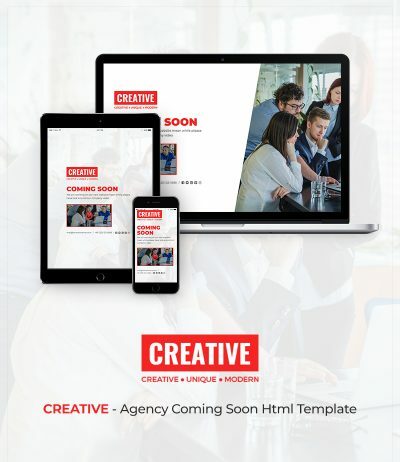 Olivia is a simple and bootstrap high speed performance HTML template. It also uses beautiful typography from well known Google Web Fonts and Font Awesome Icon. It adapts easily to all devices and screens as well as different browsers. 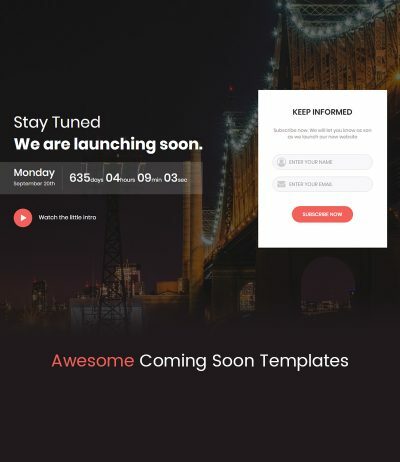 Beautiful coming soon page with orange gradient background color combination design, SEO ready & Contact form integrated. J-Query countdown timer with short company description writing option. 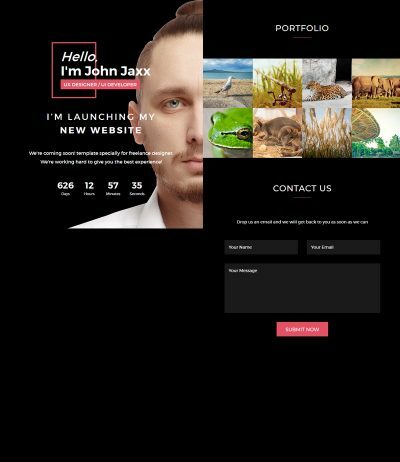 This template is based on HTML5, CSS3 latest bootstrap framework with multi browser and device supported.